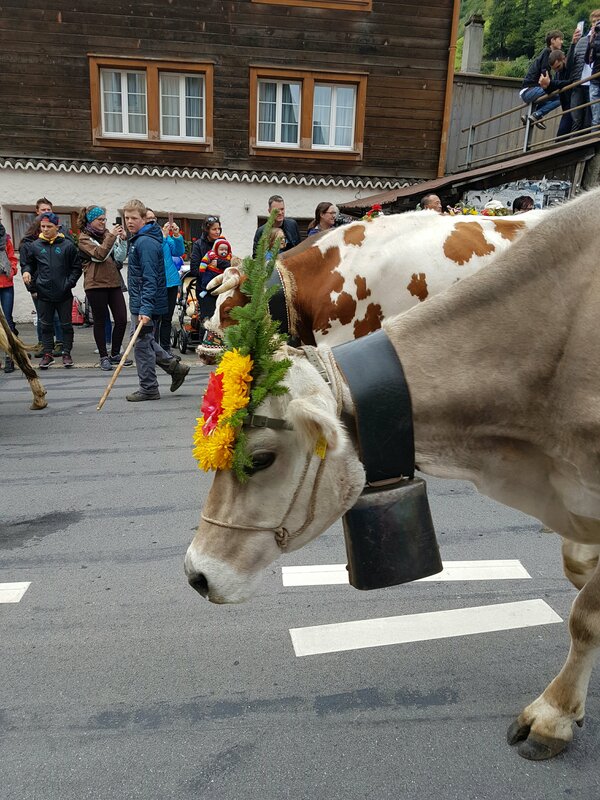 We finally got to see a Swiss tradition that we have been wanting to experience for years. In the springtime the cows are taken up the mountains to graze for the summer. 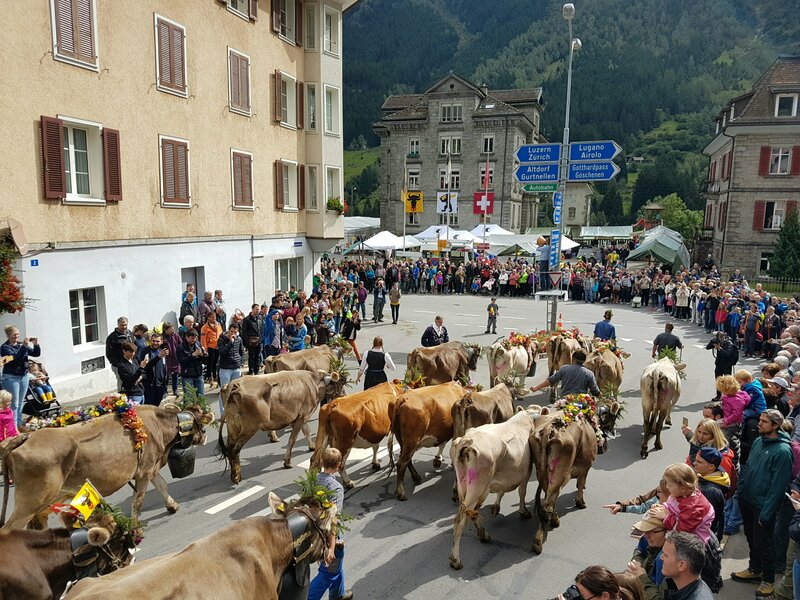 Then, at the end of summer, the Swiss farmers bring their cows back down from mountains. It is called the Alpabzug. 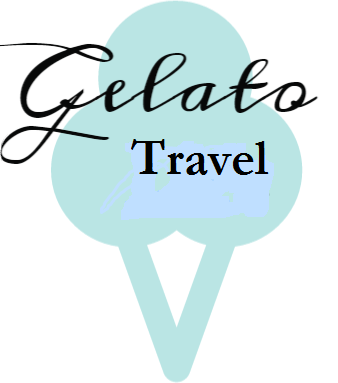 Not every Swiss town participates, you can check out the Swiss tourism site for participation towns. 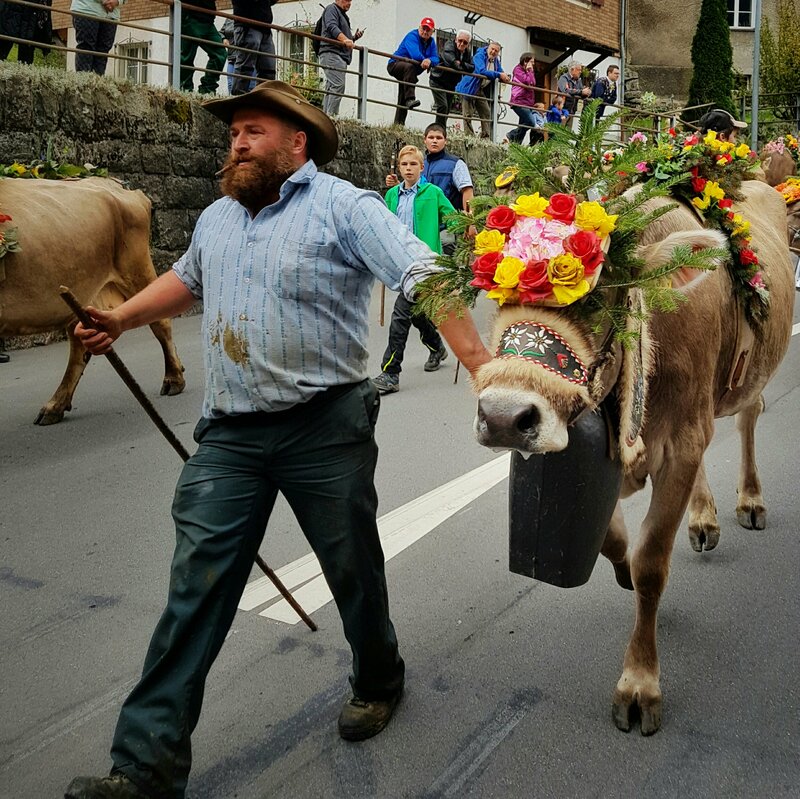 Usually the Alpabzug takes place in the month of September. 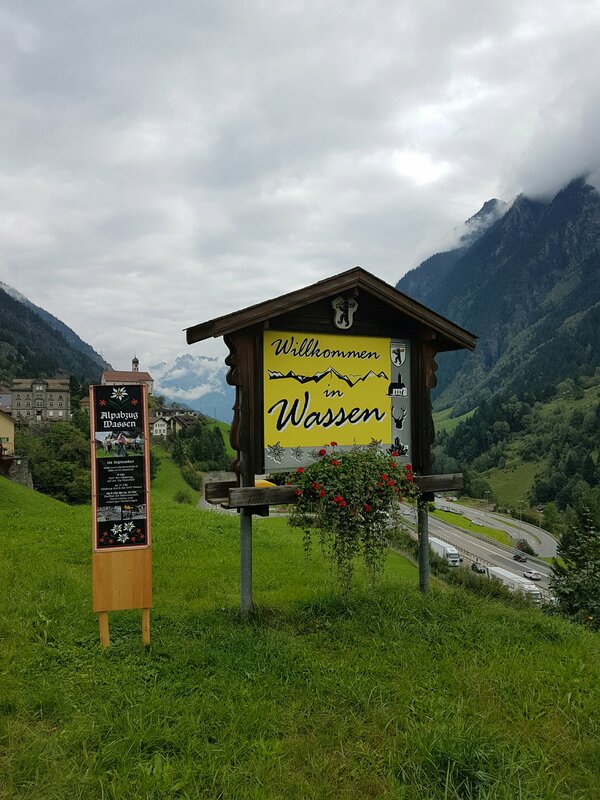 Just near the north entrance of the San Gottardo tunnel, which separates the German from the Italian speaking regions of the country, is a little village called Wassen. We have driven past this village many times but have never stopped. Wassen is such a quaint Swiss Village. The Alphorns are very traditional and actually used by the farmers to call the cows into the barns at milking time. 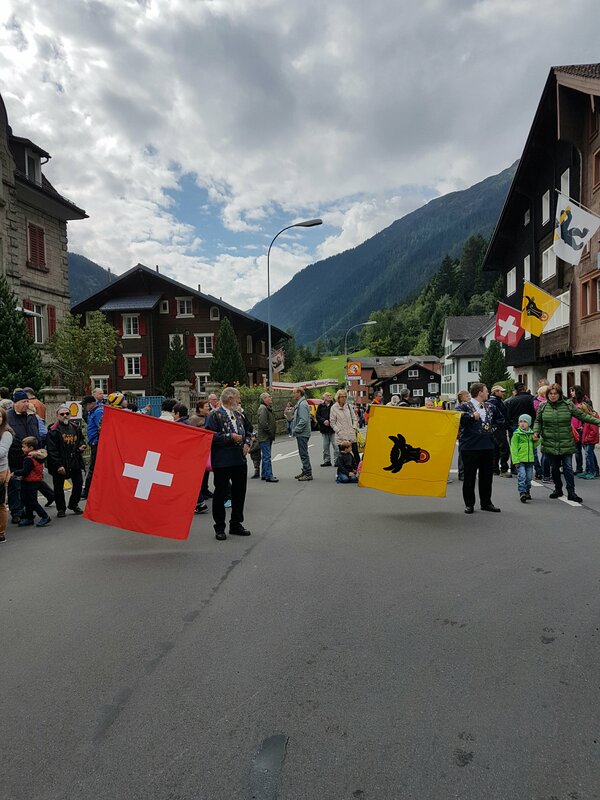 Alpabzug celebrations are a big deal in these villages. 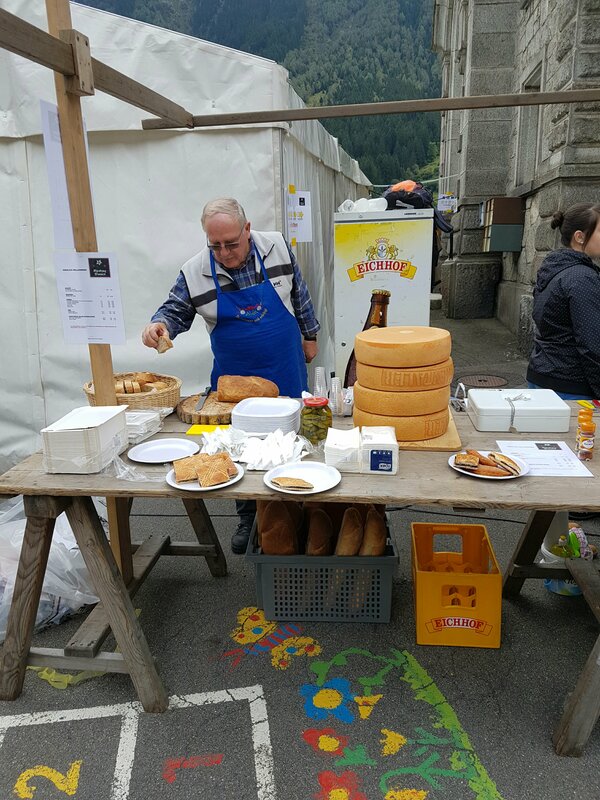 Typically there is a town market where you can get all the local goodies, including raclette and bratwurst for lunch. Each cow is adorned with a head piece and giant bell. It really is quite the sight to see. Switzerland has different cantons, which are like states, each canton has their own flag. Wassen is in Canton Uri, which is represented on the yellow flag. The blue shirt, worn by this farmer, is a traditional Swiss costume. Each Canton has their own type of costume. Between the 26 Cantons in Switzerland there are over 700 types of tradition Swiss costumes. The local farmers and their family walk their own herd of cows down the mountain. We really enjoyed our first experience at the Alpabzug and would highly recommend seeking out one if you are in Switzerland during the month of September.